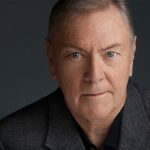 John Herzog has been a professional actor for over 40 years and had the good fortune to work on Broadway, in films, television and in regional theatres throughout the country. Starting early while still a student at Hollywood High School, his love of theatre and its literature has been the central focus of his life. While young he played Claude, one of the two leads in the tribal love rock musical Hair for producer Michael Butler. Los Angeles, Broadway and the national tour kept him busy for nearly two years before he moved on. He’s played in theatres across the country in roles as diverse as Sky Masterson in Guys and Dolls, Petruchio in Taming of the Shrew, Doc Delaney in Come Back Little Sheba, Macheath in Threepenny Opera, George in Same Time Next Year, Ben Stark in Rocket to the Moon, Laertes in Hamlet, Doc Porter in Crimes of the Heart and dozens more. In addition he has participated in upwards of 100 staged readings over the past four decades. The theatres he’s played include The Biltmore in NYC, Laguna Playhouse, Portland Stage Co., Delaware Theatre Co., Indiana Repertory Theatre, Los Angeles Theatre Center, Arizona Theatre Co., Oregon Shakespeare Festival, LaJolla Playhouse, Mark Taper Forum – New Works Festival, North Coast Repertory Theatre. He has also participated in the governance of Actors Equity Association as a Western Regional Councilor from 2010 - 2015. He hasn’t completely neglected television and film. He starred as Sam Blacker in the independent feature Rogues and was in the feature film Human Highway directed by rock star Neal Young and Dean Stockwell starring Russ Tamblyn, Dennis Hopper and Sally Kirkland . He’s also been seen in numerous television programs (Making a Living, Open All Night, The Powers of Mathew Star, etc.) including a recurring stint as Dave Adler, Asa’s wisecracking pilot on One Life to Live for ABC. John received his early training at the Los Angeles City College Theatre Academy and continued studying in Los Angeles with Robert Ellenstein. He is the proud father of daughter Molly, a Boston University grad.